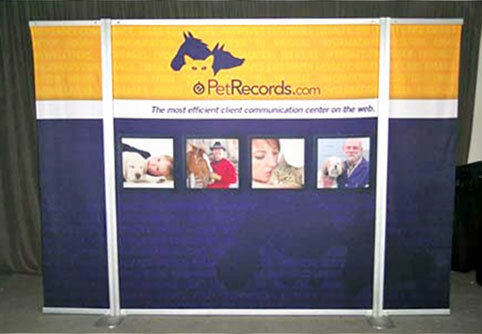 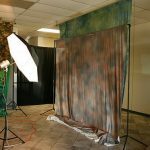 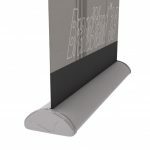 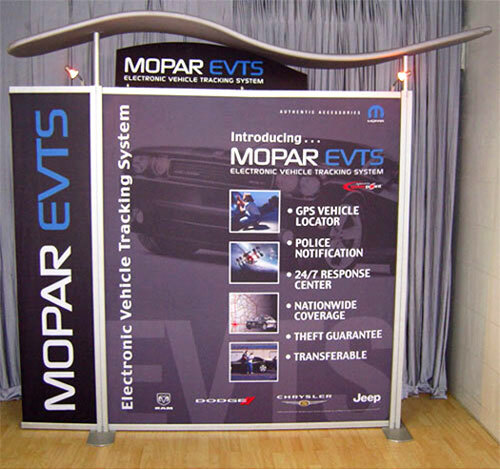 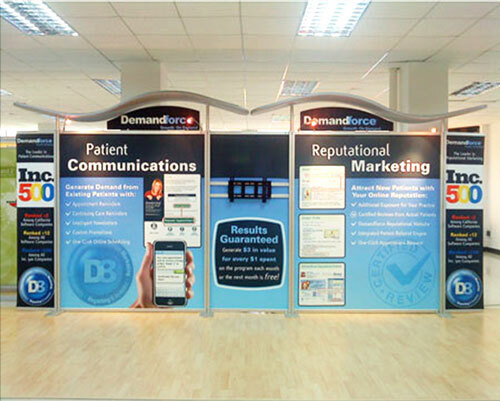 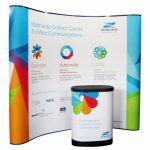 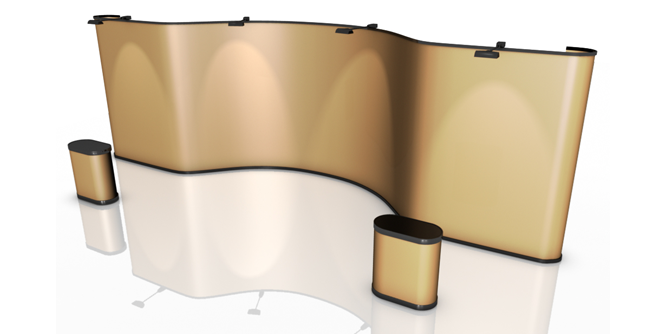 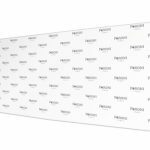 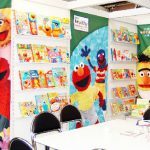 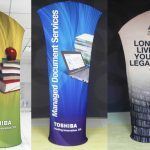 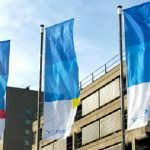 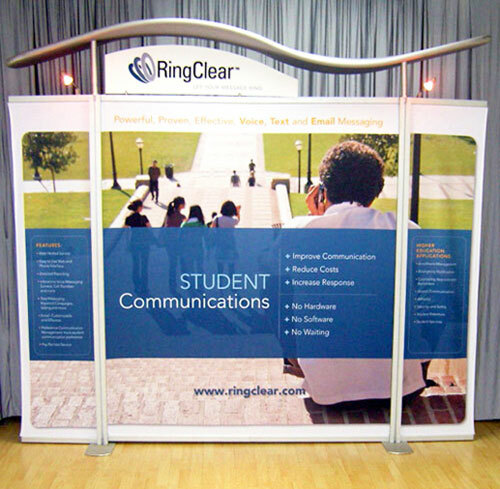 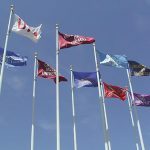 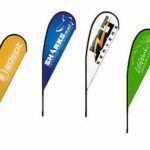 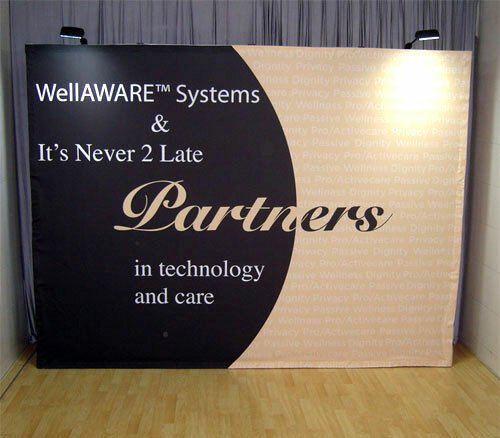 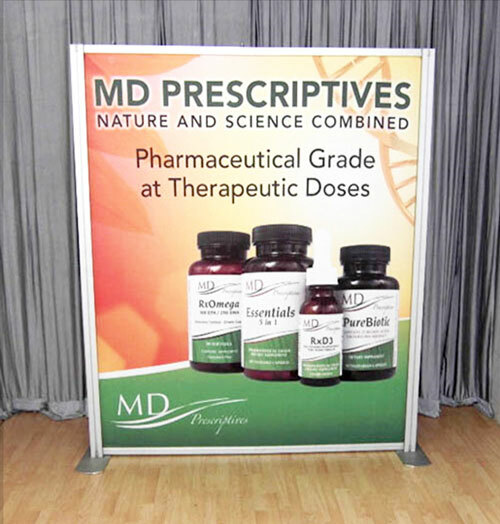 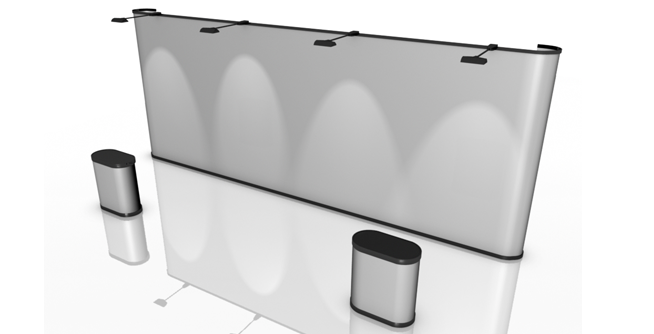 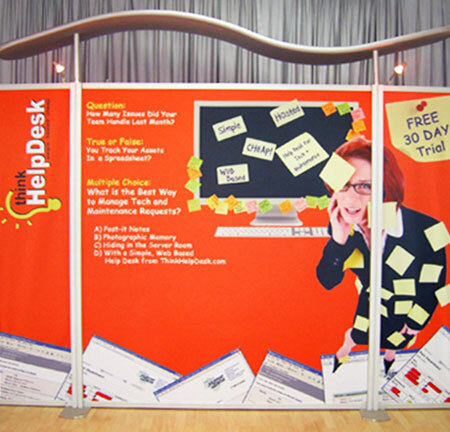 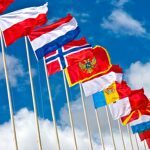 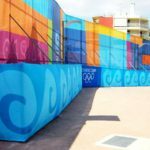 As much as possible, you’d want display accessories for your exhibition booth to have multiple uses – counters that double as work spaces, pop-up displays that also act as barriers around your booth, and so on. 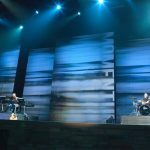 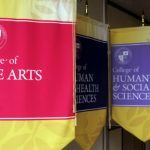 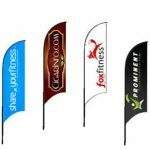 In this way, you will get the most mileage out of as few tools as possible. 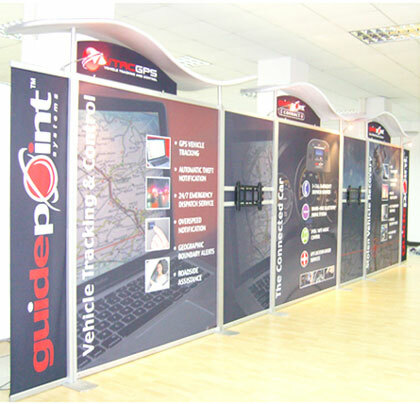 It maximises the benefit you will get from your tools, and you won’t have to carry a lot of items with you when you set up your booth. 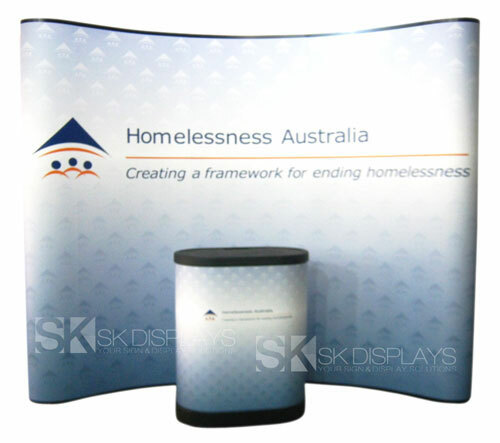 This particular model of exhibition counters has a dual purpose: It is a counter that you can also use as a carry case. 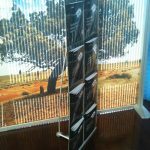 This CA900 model of counter display stands is probably one of the most practical counter display you will ever find in the market today. 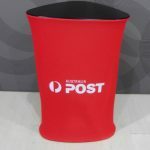 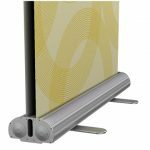 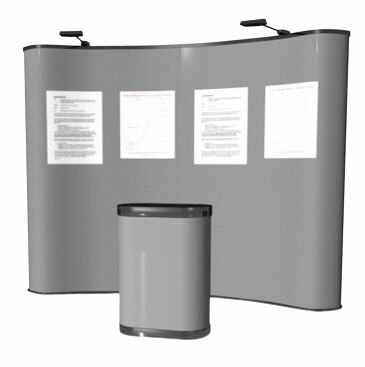 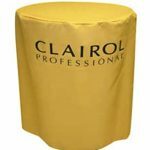 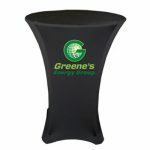 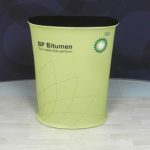 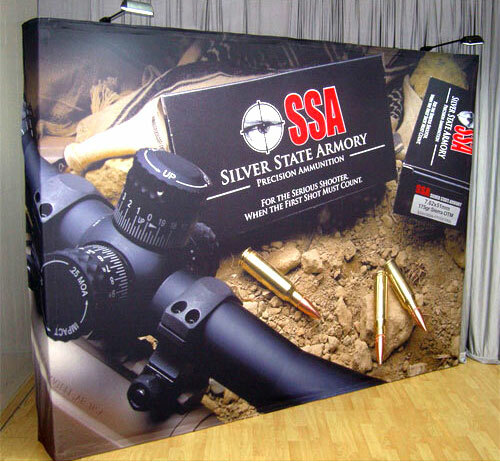 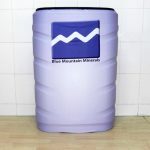 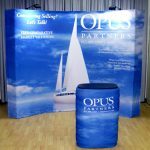 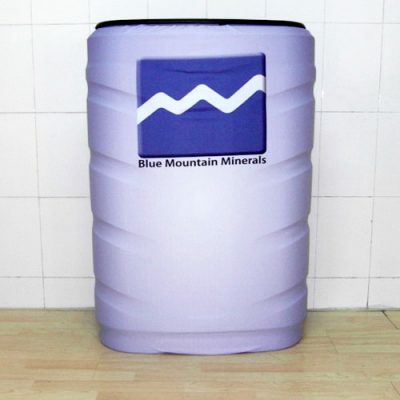 Its barrel design ensures stability, and its wide top can hold the large items you intend to exhibit at the trade show or expo. 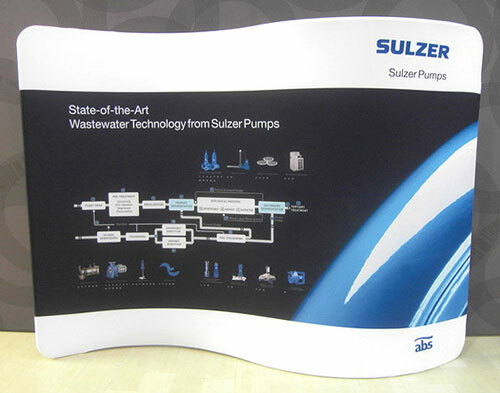 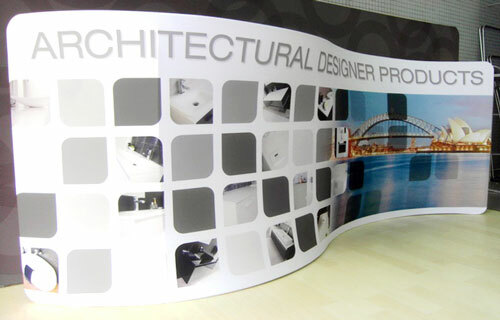 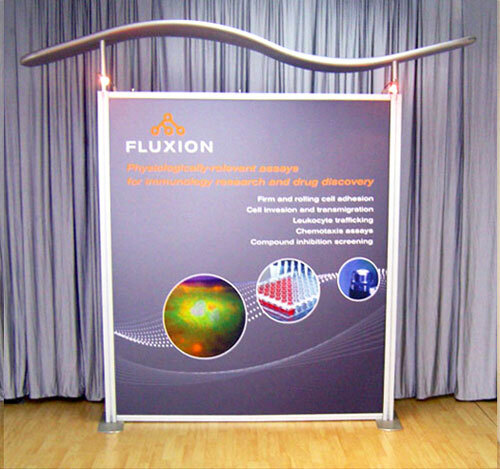 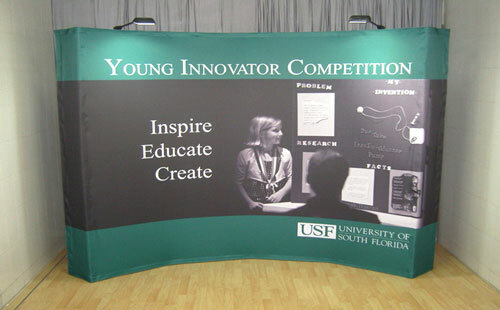 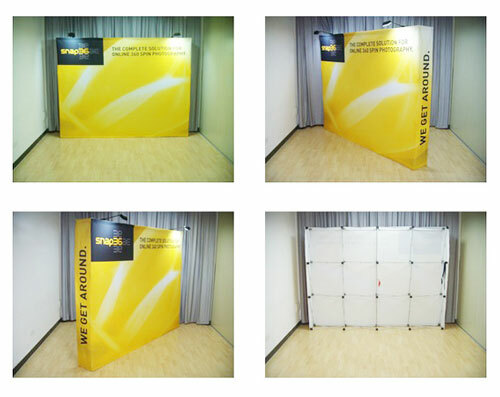 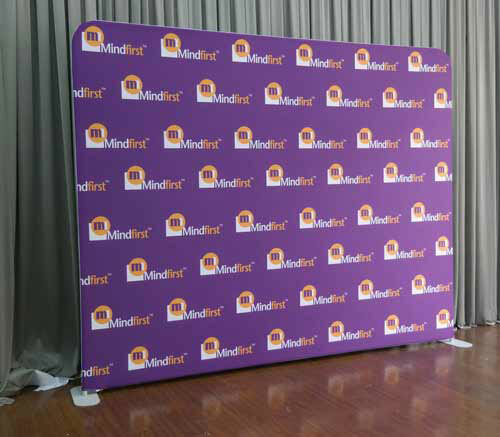 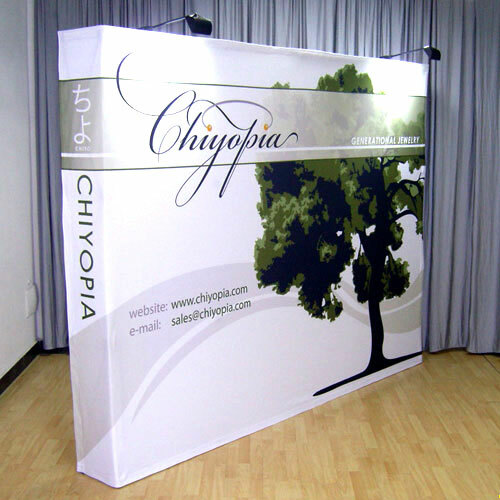 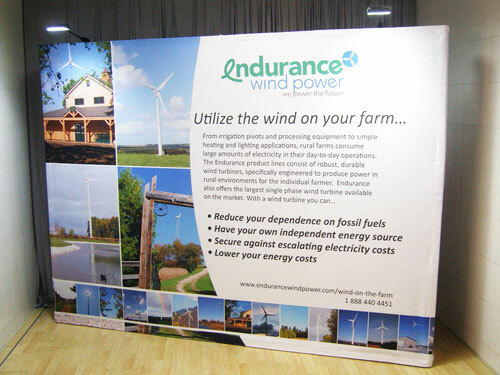 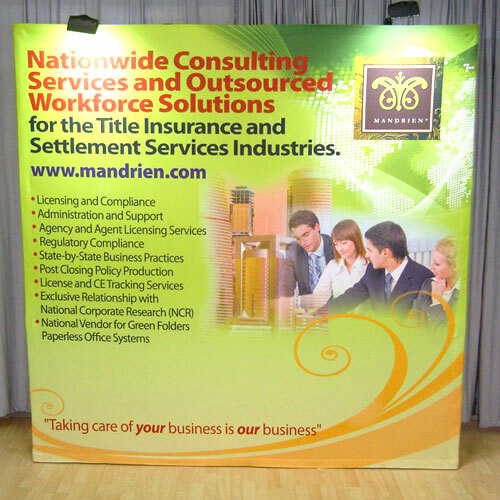 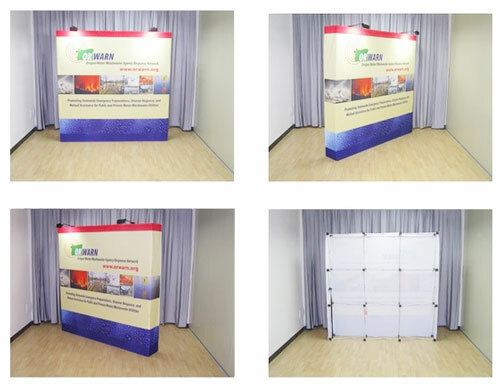 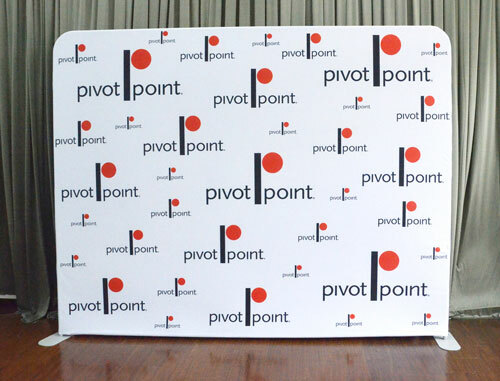 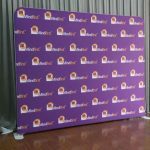 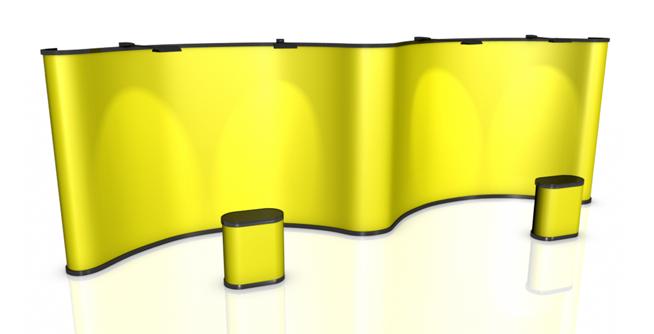 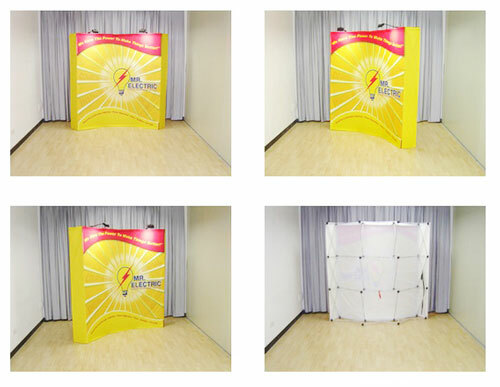 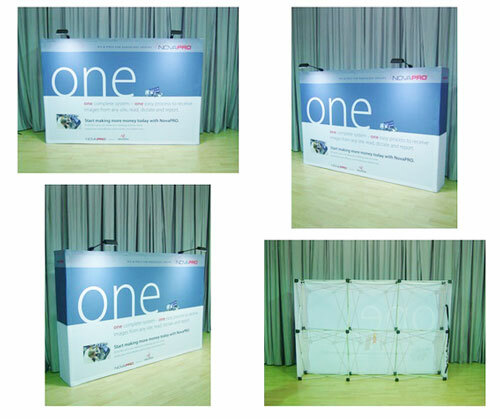 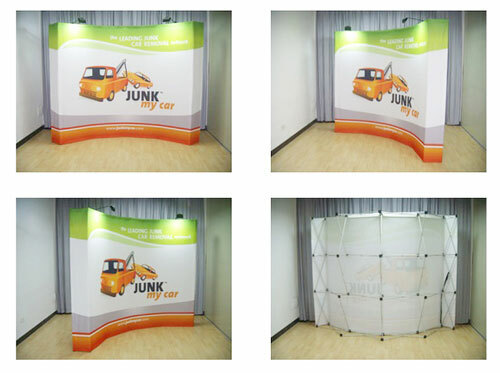 With a size of size: 700mm/W x 400mm/D x 970mm/H, it can even serve as a work space at your expo booth if you need one. 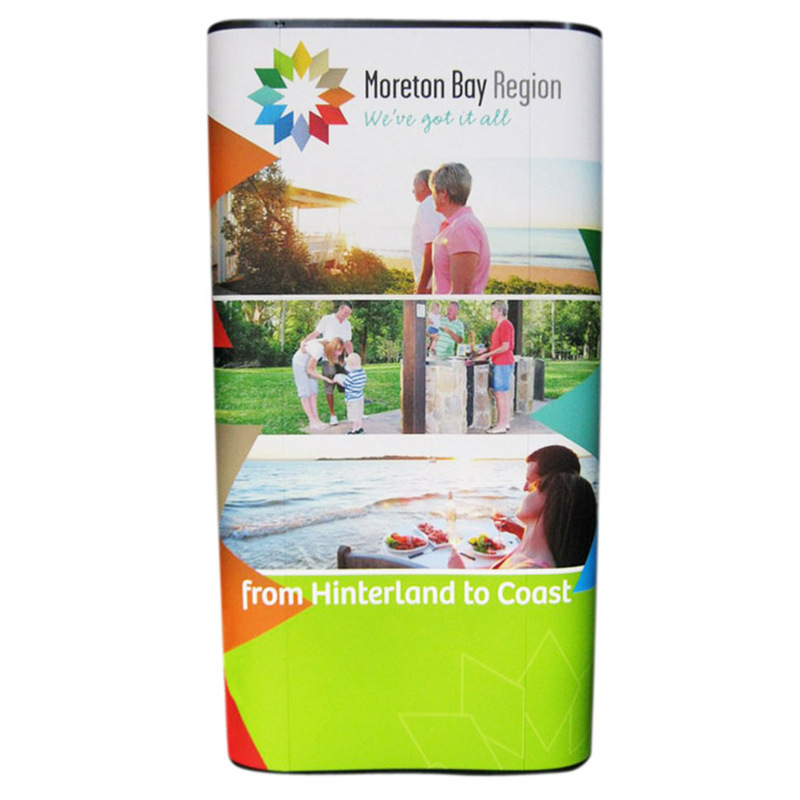 But more importantly, this counter model is a storage case. 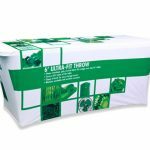 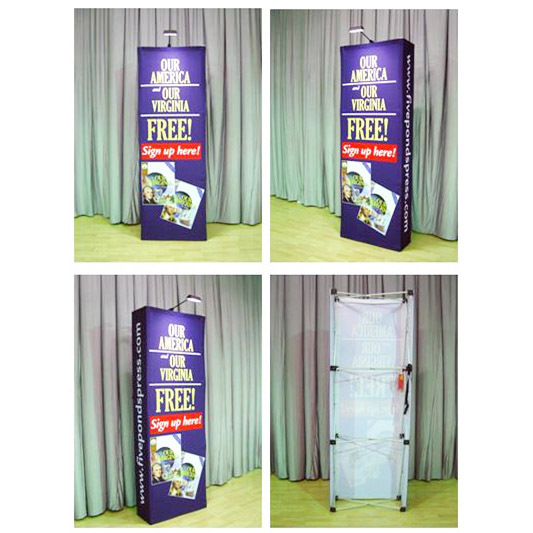 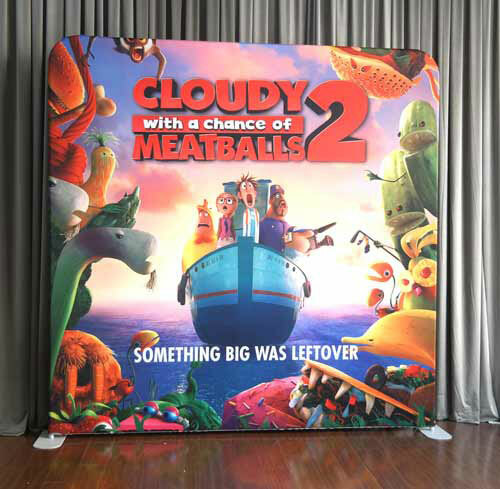 You can stuff your exhibition paraphernalia safely inside without any worries, and it has wheels that allow you to transport it from place to place easily. 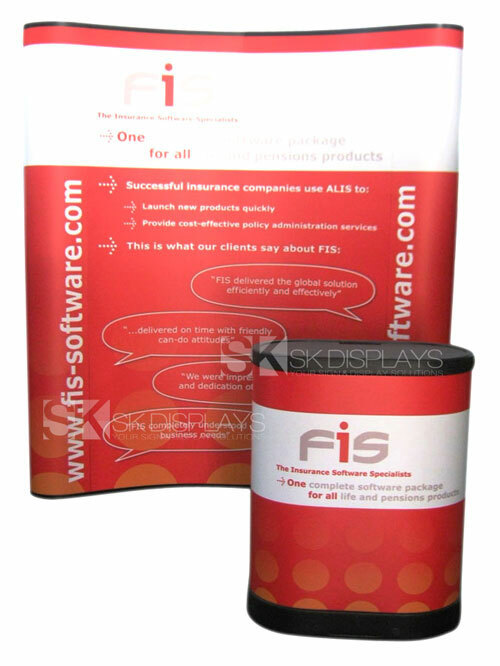 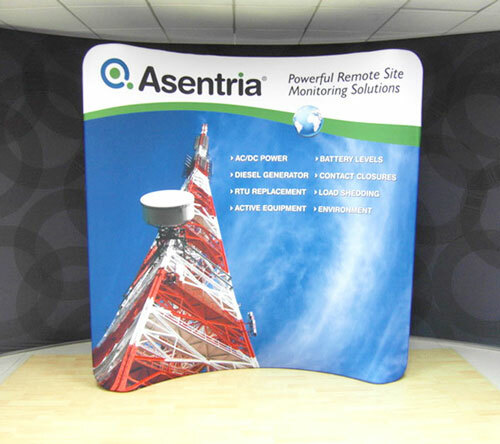 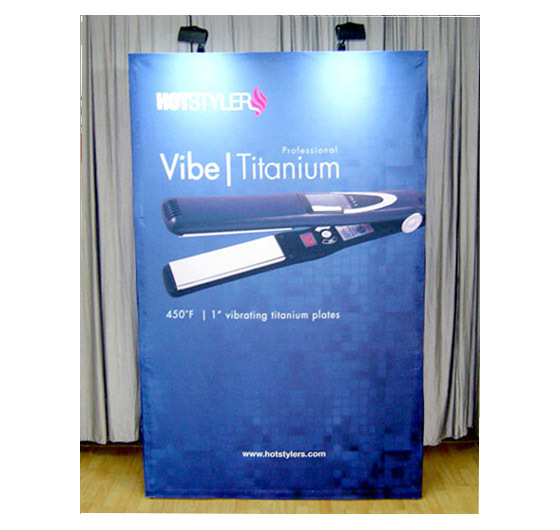 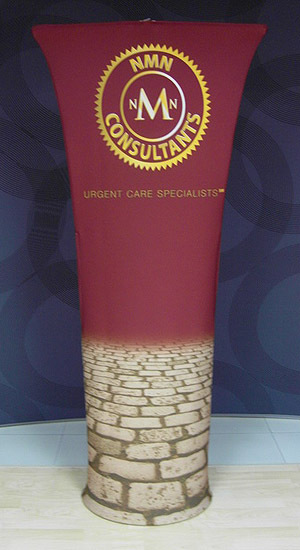 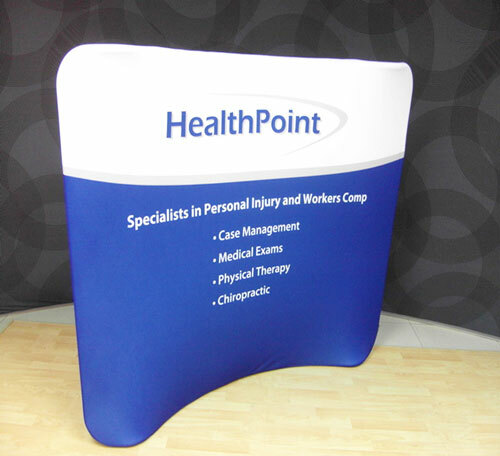 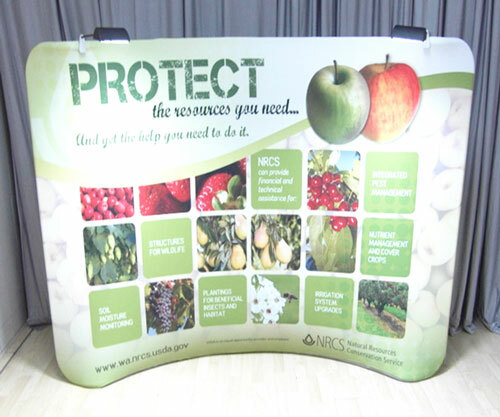 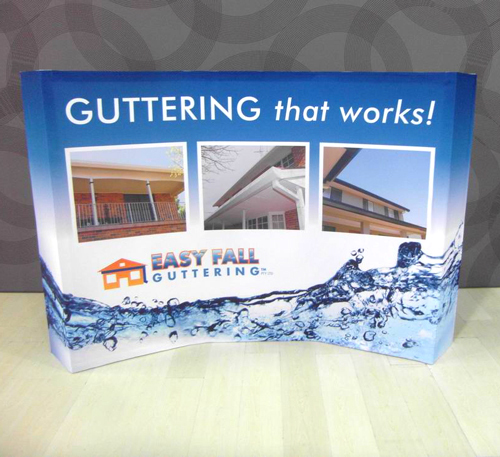 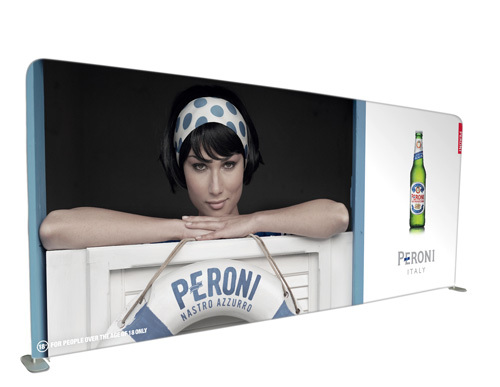 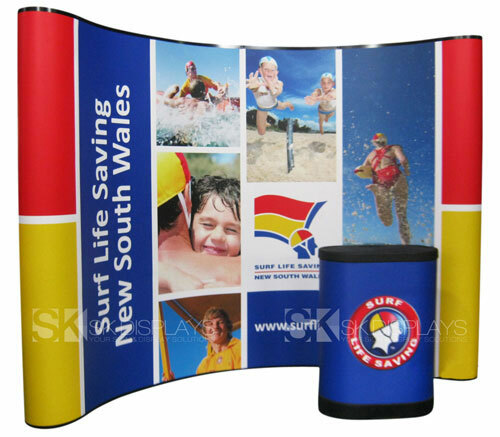 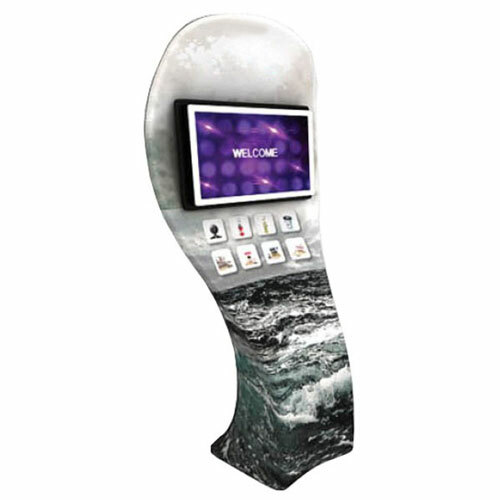 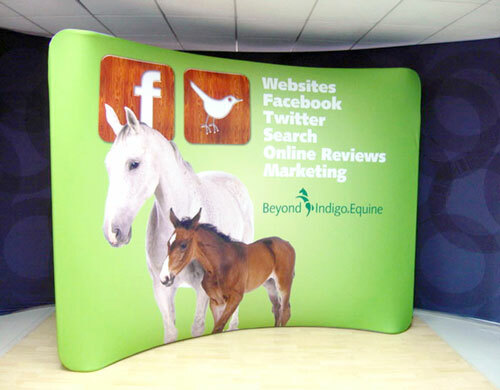 As a display counter, it is certainly an eye-catcher, thanks to its full-colour fabric wrap. 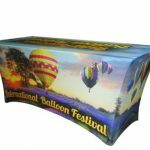 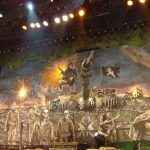 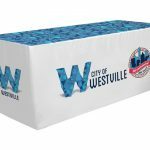 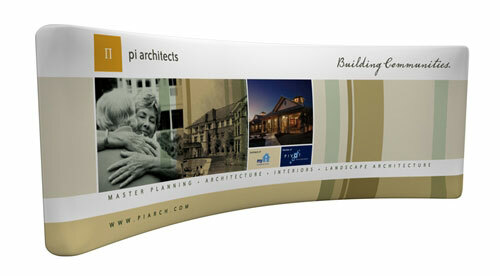 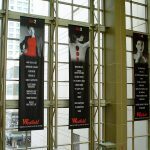 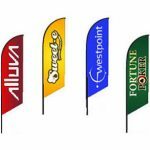 We produce our fabric wraps using the latest in digital fabric printing technology. 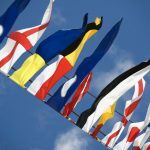 Thus, they are always rich in colour and sharp in details. 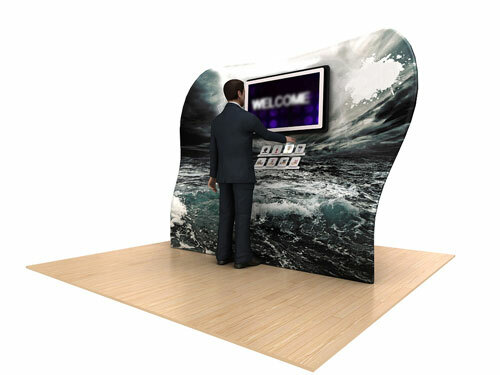 It is also very easy to set up this type of exhibition counters. 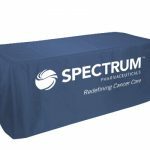 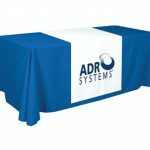 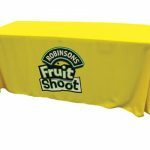 It only takes five minutes to assemble this display, and all you need to do is to remove all the items you have in store within this carry case, and then slip the fabric graphic over it so the fabric covers the barrel’s entire body. 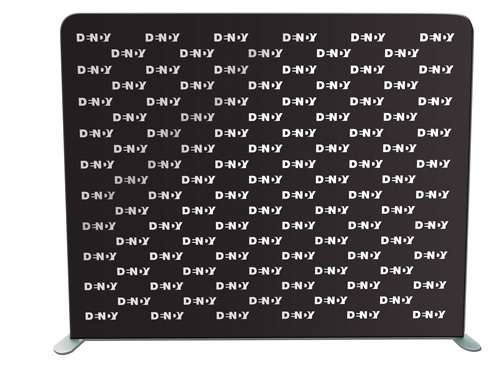 Afterwards, you put the countertop over the carry case. 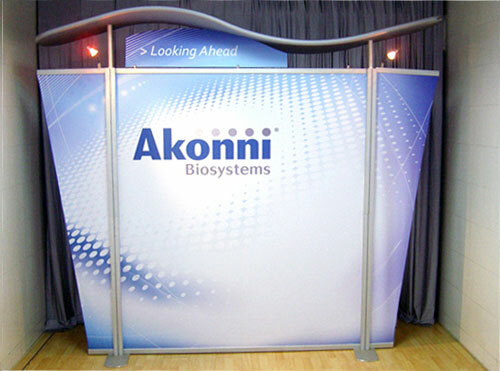 That leaves you all set for your exhibit. 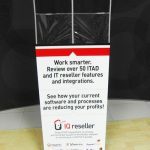 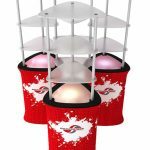 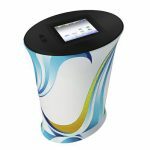 The best benefit you will get out of these dual-purpose counter display stands is you can use it as much as you please. 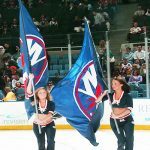 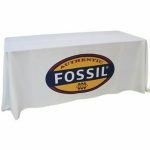 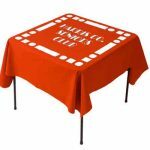 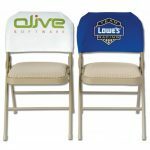 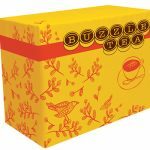 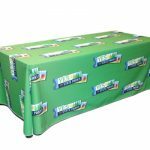 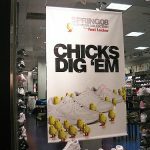 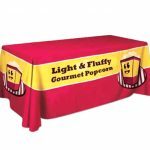 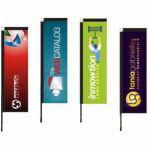 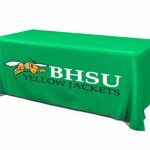 It is highly durable, and the fabric graphic is fade-proof. 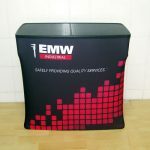 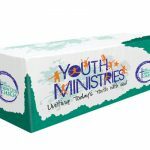 In case you do need your display to boast of a new appearance, you can keep the carry case and just order a new fabric graphic. 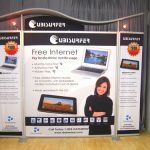 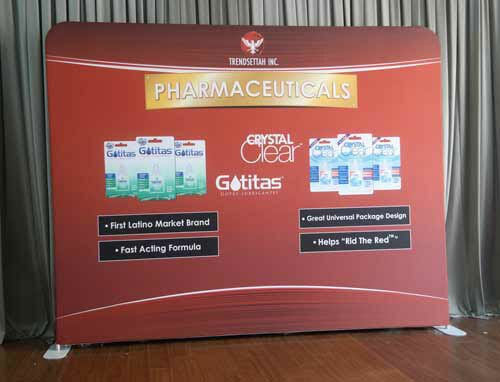 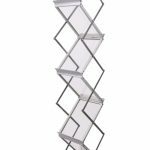 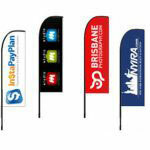 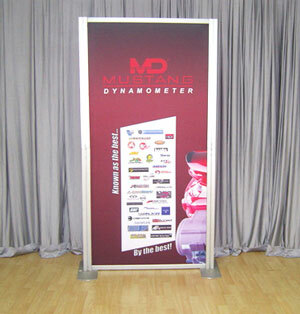 You will save a lot of money in purchasing this display stand in the long run. 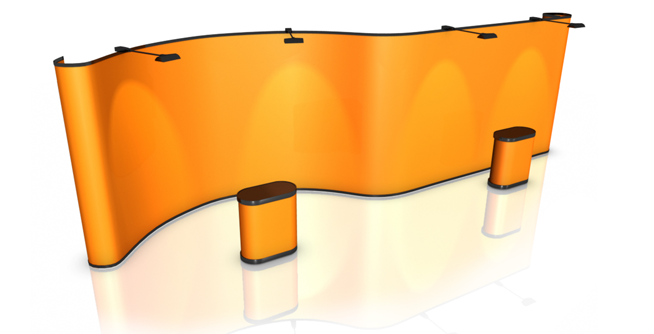 Call us right now for more information about our exhibition counters. 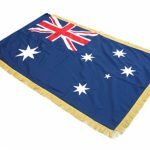 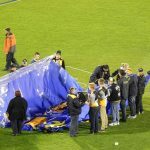 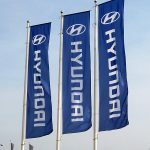 We deliver to any place in Australia, including Melbourne, Sydney, Adelaide, Canberra, Perth, Darwin, Gold Coast and Brisbane.